When Han Solo and Chewbacca walked back onto the Millennium Falcon in Star Wars: The Force Awakens, it was a homecoming for two iconic movie characters — and a memorable first day of work for the big rookie in the furry suit. In the “Chewie, we’re home” sequence that fans went nuts over, that was Finnish newcomer Joonas Suotamo in costume opposite Harrison Ford. 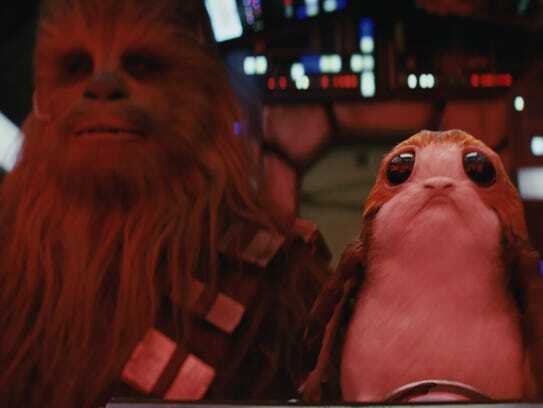 Suotamo tag-teamed with Peter Mayhew, the 73-year-old original Chewbacca, for the more physically rigorous aspects of the gig in Force Awakens and the new Star Wars: The Last Jedi (in theaters Dec. 15). He takes over the Wookiee role entirely for next year’s standalone Solo: A Star Wars Story (May 25), which focuses on the young Han Solo. 1. He got help from the Wookiee master. 2. He missed his first world premiere. 4. Chewie isn’t Suotamo’s favorite Star Wars character. 5. But it could have gone better when he actually met Luke. Winklevoss Twins Used Facebook Payout To Become World’s First Bitcoin Billionaires.